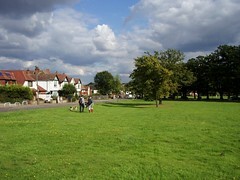 A village settlement based around Theydon Green, the penultimate stop at the eastern end of the Central Line. Last edited 2013-04-01 14:45:43 (version 9; diff). List all versions. Page last edited 2013-04-01 14:45:43 (version 9).